“Christmas in Theater Eight” – The Johnsons have a tradition of going to the movies on Christmas and they can never agree on what to see. Dre wants to see an important film about Rosa Parks, but they all want to see the latest action-packed superhero blockbuster. 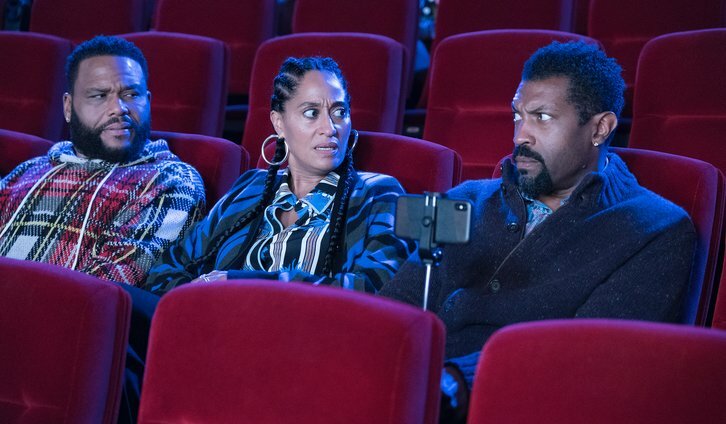 Meanwhile, Junior becomes embarrassed about taking a gap year after he runs into his ex-girlfriend Megan at the theater on “black-ish,” TUESDAY, DEC. 11 (9:00–9:30 p.m. EST), on The ABC Television Network, streaming and on demand. Guest starring is August and Berlin Gross as Devante. “Christmas in Theater Eight” was written by Courtney Lilly and directed by Jude Weng.